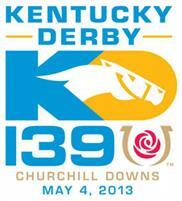 This is my first in a series of blogs devoted to Kentucky Derby 2013 contenders. Once again I am getting an early start in September and there will be many twists and turns in the months ahead. Eight of the last twelve Kentucky Derby winners graduated by October 4 including six of the last seven. Kentucky Derby 2012 hero I’ll Have Another captured his career debut at Hollywood Park on July 3 of his juvenile season. My list below is based on a combination of promise shown and distance breeding. Stay Thirsty occupied the top spot at this stage two years ago and Alpha was my early top dog for Derby 138. They finished up the track on the first Saturday in May but both blossomed in the summer with wins in the Jim Dandy and Travers at Saratoga. Maybe I should call this the Travers 2013 contenders blog! 1. Fortify (Distorted Humor) – Reminds me of Stay Thirsty and Alpha. Love the long winded pedigree. He graduated in 6.5f bow and finished solid 2nd in G2 Hopeful. Sprinting is probably not his game and he should continue to develop for McLaughlin/Godolphin. The G1 Champagne on 10-6 is his next target. Breezed 5f in :59 (1/3) at Greentree Training Center on 9-22. 2. Pataky Kid (Rockport Harbor) – G3 Arlington-Washington Futurity hero continues to train well and will probably show up in Keeneland’s G1 Breeders’ Futurity. Garrett Gomez rode him last time for Tom Proctor. Fired a 5f bullet in 1:00 (1/13) at Arlington Park on 9-24. 3. Know More (Lion Heart) – From same connections as I’ll Have Another. Debuted a winner in G2 Best Pal and rallied for the place in G1 Del Mar Futurity. Entered in the G1 FrontRunner at Santa Anita on 9-29. 4. Archwarrior(Arch) – Pletcher’s highly regarded $375k colt was a professional debut winner at Saratoga on 8-30. He is listed as definite for the G1 Champagne. Breezed 5f in 1:00.22 (3/23) at Belmont Park (dirt training) on 9-24. 5. Micromanage (Medaglia d’Oro) – Cruised in Saratoga debut on 9-1. Yet another exciting prospect for Pletcher. Breezed 5f in 1:00.22 (3/23) at Belmont Park (dirt training) on 9-24. He could show up next in the G1 Champagne or Dover Stakes at Delaware. 6. Shanghai Bobby (Harlan’s Holiday) – Made it 3-for-3 with a decisive win in the G2 Hopeful (88 BSF). Not sure how far he wants to go but he is off to a flying start for Pletcher. The Champagne is probably next and he breezed 4f in :49.47 (16/34) at Belmont Park (dirt training) on 9-24. 7. Balance the Books (Lemon Drop Kid) – Graduated in G2 With Anticipation in his second lifetime start for Chad Brown. He has only run on turf so far but seems like the type to run all day. Brown is considering the Oct 7 Pilgrim at Belmont on turf or the G1 Breeders’ Futurity at Keeneland on synthetic ground. Brown also has sharp debut winner Noble Tune for the Pilgrim. 8. Tizracer (Tiznow) – Improved smartly second time out to romp in flat mile graduation run (92 BSF) at Belmont Park on 9-8 (exciting prospect Orb was 4th). Todd Pletcher trainee breezed 4f in :49.48 (17/34) at Belmont Park (dirt training) on 9-24. He might be headed to the Breeders’ Futurity. 9. Gabriel Charles (Street Hero) – Game nose victory in Del Mar bow and ended up a troubled 6th in Del Mar Futurity. He looks to rebound in the FrontRunner for Jeff Mullins. 10. Capo Bastone (Street Boss) – Closed smartly in Del Mar sprint bow and followed that up with an even 4th in the Del Mar Futurity. He goes next in the FrontRunner for John Sadler. Code West (Lemon Drop Kid) – $340k Keeneland sales grad rolled a pair of 3’s to begin his career at Del Mar. Baffert runner owns a promising route pedigree and is entered in the 1st race at Santa Anita on 9-29. Goldencents (Into Mischief) – Sharp debut win (93 BSF) for Doug O’Neill/Leandro Mora on 9-2. He is expected to contest the G1 Champagne at Belmont on 10-6. Worked 6f in 1:16.20 (2/3) at Hollywood Park on 9-26. Orb (Malibu Moon) – Blew the break and rallied to finish a strong 3rd in his bow. McGaughey’s promising colt flopped at low odds (fractious gate) going a flat mile at Belmont second time out. He has raw talent but lacks maturity at this stage. Breezed 4f in :51.03 (18/23) at Belmont Park on 9-26. Power Broker (Pulpit) – $360k purchase is still a maiden after three starts but he keeps improving for Baffert. G1 FrontRunner is next and he might get brave if able to sneak away early. Title Contender (Pulpit) – Set the pace and held the show behind subsequent stakes winner Dry Summer in his Del Mar bow July 28. Baffert’s $310k purchase is entered in the opening race at Santa Anita on 9-29. Palace Malice (Curlin) – Smart second time out maiden tally for Pletcher at the Spa on 8-4. He is out of action with bucked shins. Rolling Fog (Posse) – Baffert’s G1 Del Mar Futurity hero is out for 60 days with bucked shins. Goldencents ran well to hold the place considering he was shipping across country to face graded rivals in just his second lifetime start. Long term prospect is worth following.